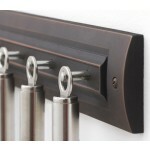 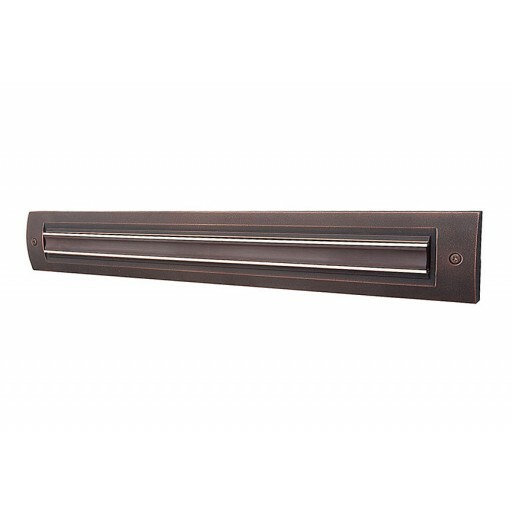 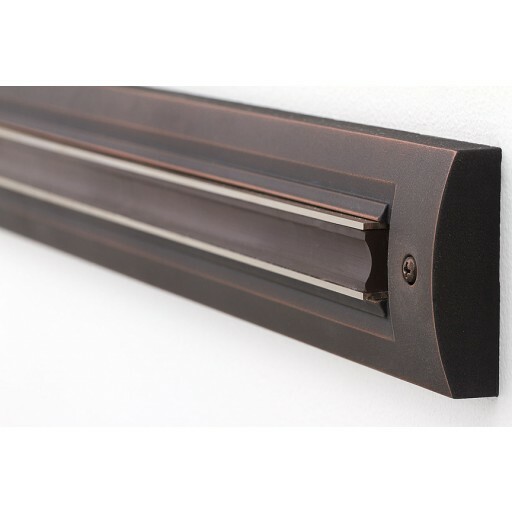 This magnetic knife rack displays your brightly polished stainless steel blades against the deep, burnished, chocolaty luster of oil rubbed bronze for a dynamic kitchen accent. 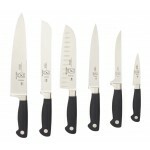 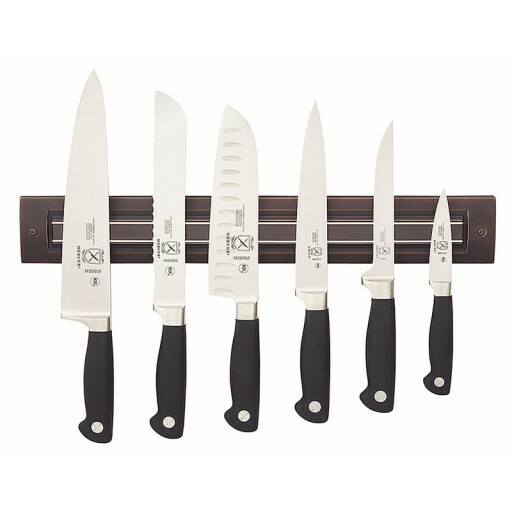 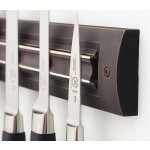 The magnetic panel holds six to eight of your favorite kitchen knives, and mounts simply with only two screws. 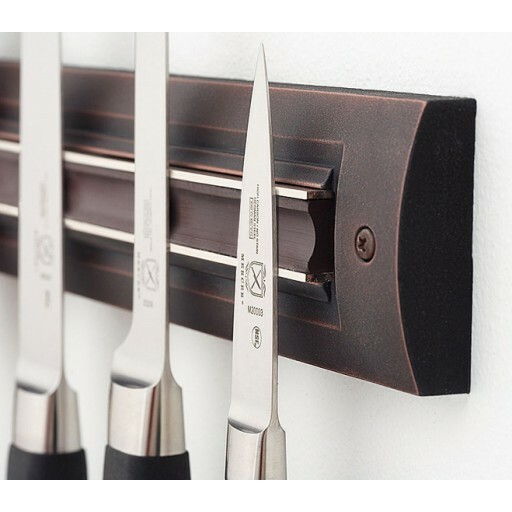 1 knife rack, 2 screws and 2 mounting anchors.